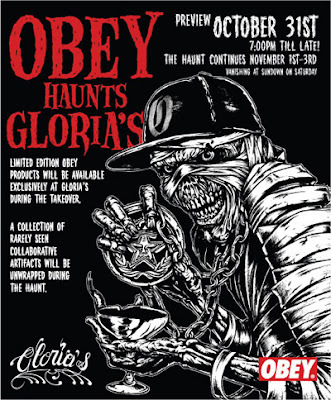 With his solo exhibition opening at Stolen Space tomorrow evening, tonight will see Obey Clothing taking over Gloria’s for the next 4 days from 7pm. They will be filling the store with exclusive product that are not available anywhere else in Europe, so that’s a whole load of fresh crispy T’s that no one has seen yet. 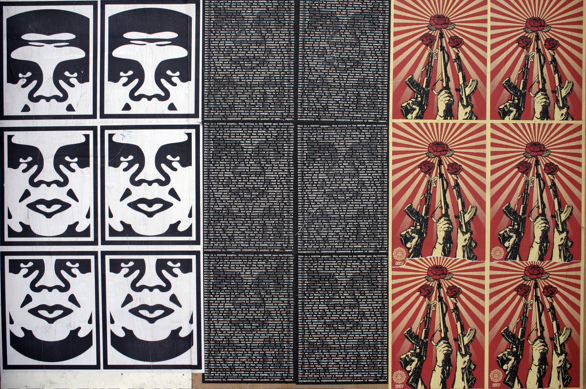 The event will be running until Sat evening, so make sure you get down there before it’s all packed up and gone! There are going to be special pieces up for grabs for the early birds and rumour has it ‘DJ Diabetic’ will make an appearance! !